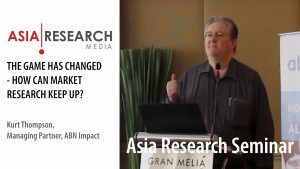 Asia’s premier market research solution platform provider GMO Research, Inc, has agreed to form a strategic capital and business alliance with China’s leading Ad network – Ignite Vision Holdings. GMO Research’s China Cloud Panel will now become the number one panel in China in terms of reach with the capability to meet the highest levels of demand from US/EU region clients. Despite a huge gap between the penetration rate of online surveys in Japan and China (online surveys account for 46% (*1) of all market research in Japan, whereas online survey is still rarity in China), overall sales generated by the China branch of GMO Research, GMO E-Lab Marketing Research, grew over 200% in 2014 from the previous year. This may be due to clients shifting to online surveys from conventional offline survey methods such as mail surveys or focus group interviews with the aim to reducing costs and achieving a quick turnaround of results. Ignite Vision Holdings, a branch of ad network firm, Ignite Vision is one of the largest panel networks in China connecting over 500 online media sites nationwide with access to over 30 million registered members. Ignite Vision and GMO Research have agreed to partner for greater business synergy in the core business domain of panel platform business in China, and to develop a variety of new panels for clients seeking to research in China. Through the alliance, GMO Research has acquired exclusive rights to market Ignite Vision’s panel for survey purposes. Ignite Vision is also set to establish a business alliance with China’s second largest telecommunications carrier “China Unicom” to develop a smartphone application (mail.wo.cn) and the members here will be recruited into a mobile panel. The actual integration of the Ignite Vision panel into GMO Research’s platform “China Cloud Panel” is scheduled for Oct, 2015. Ignite Vision will concentrate their business scope on promotion and GMO Research will take over survey panel management. Leveraging the strength of GMO Internet’s extensive knowledge in internet technology, GMO Research will be able to contribute in managing panels with frequently updated incidence rates, user-friendly sampling control system, and precise demographic information through the DIY research system “Market Observer”. GMO Research, Inc. (TSE:3695) is a one-stop research solution platform provider. Offering full-service capabilities spanning across all industries and powered by one of the largest panels in Asia, we make research easy through seamless bilingual communication and solutions that cater to our clients’ needs. In addition to the traditional qualitative and quantitative methodologies, we also offer a number of proprietary methodologies including Eye Tracking, Scanamind, Mobile Research, MROC, and more. Ignite Vision Holdings is a subsidiary of Internet research and advertising agency, Ignite Vision. Ignite Vision Holdings has a network of panels with access to over 30 million consumers through 500+ internet media outlets in China. While Ignite Vision Holdings promises one of the largest panel coverages in China it is expected to grow further due to high demand and plans to go public on the Hong Kong stock exchange in the near future. GMO Internet Group is an Internet services industry leader, developing and operating Japan’s most widely used domain, hosting & cloud, ecommerce, security, and payment solutions. The Group also comprises the world’s largest online FX trading platform, as well as online advertising, Internet media, and mobile entertainment products. GMO Internet, Inc. (TSE: 9449) is headquartered in Tokyo, Japan. 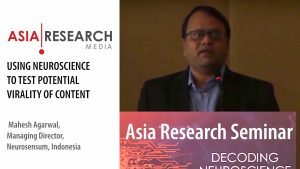 Asia Research provides knowledge, information and market intelligence for the market research industry in Asia. 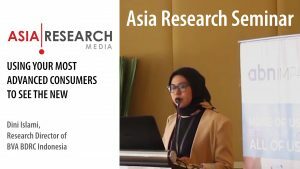 Its mission is to promote market research and research best practice in the region through the publication of research articles, industry surveys, market statistics, and company news. © 2019 ASIA RESEARCH Magazine. All Rights Reserved.